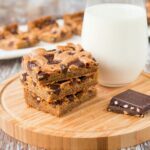 These chocolate chunk cookie bars are ultra chewy and loaded with chocolate chunks in every bite! They are so much easier to prepare than cookies. It’s all made in one bowl and baked in one pan – that’s it! There’s one thing I love more than chocolate chunk cookies and that’s chocolate chunk cookie bars. To me, cookie bars are an easier, thicker and chewier version of a cookie. I took these cookie bars over the top by using a coarsely chopped Alter Eco’s Dark Chocolate Salted Almonds Organic Chocolate bar instead of regular chocolate chips. 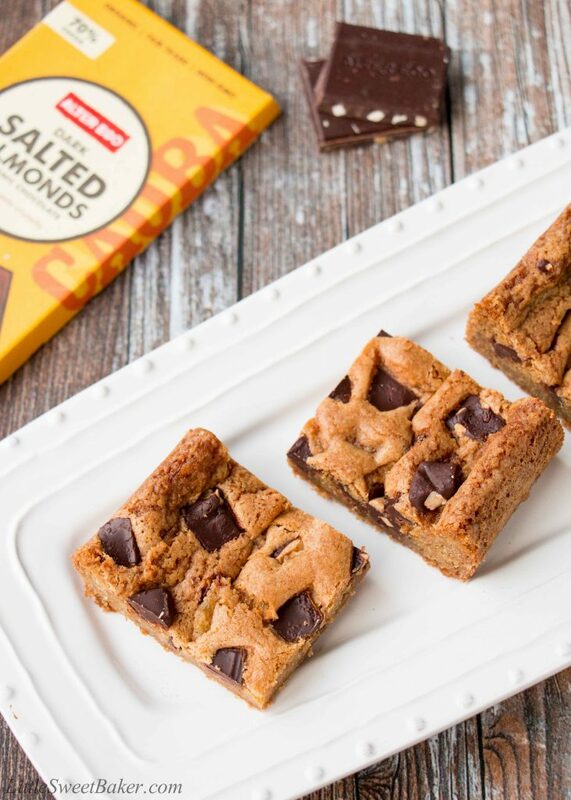 The roasted almonds give the cookie bars some crunch, while the dark chocolate adds a bold flavor. 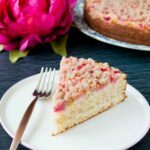 This recipe starts with mixing all the wet ingredients together. Then you mix in all the dry ingredients, spread the batter into your baking pan. 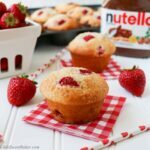 You sprinkle the chocolate chunks on top of the batter and bake. In less than half an hour, you’ve got delicious cookie bars! 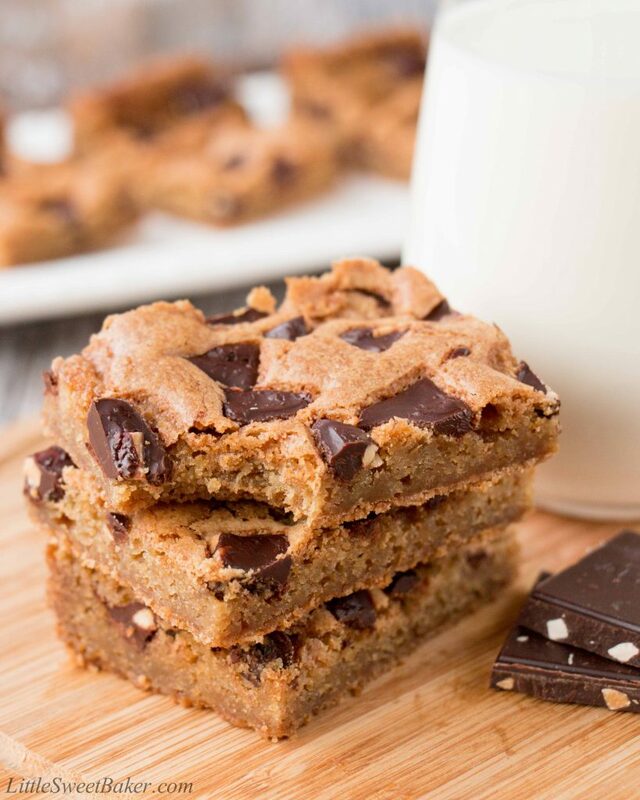 These chocolate chunk cookie bars are chewy and packed with chocolate in every bite. 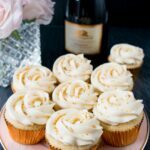 There are warm notes of brown sugar and vanilla with a lovely buttery taste. The chocolate is bold and dark with a little nutty crunch and a sprinkle of salt. 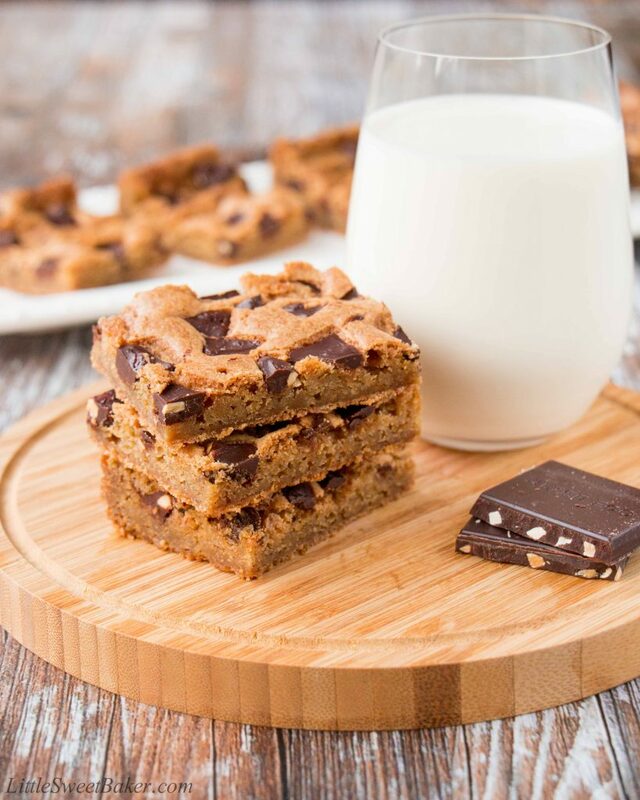 These chocolate chunk cookie bars are ultra chewy and loaded with chocolate chunks in every bite. Preheat oven to 350F. Butter and line an 8×8″ baking pan with parchment paper. In a large bowl, whisk together in melted butter and brown sugar. Mix in the egg and vanilla. Add in the flour, baking soda and salt. Stir everything until just combined. Spoon the batter into prepared baking pan. Sprinkle to chocolate chunks evenly over top. Bake for 20-25 minutes or until golden brown. Let cool before cutting. Super soft and I love the chocolate chips! Hi! 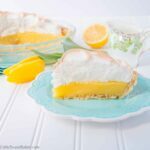 I’m looking for a few pointers, how long should the melted butter and sugar be whisked? And should the butter be melted to a runny consistency? Melt the butter in the microwave for about 30 seconds or until completely melted. Let it cool to the touch while you gather your other ingredients. Whisk together the melted butter and sugar for about 30 seconds as well. This recipe is similar to my easy chocolate chip cookies video recipe where you can see the texture of the batter as I prepare it. That might help you get a visual of what everything should look like. Please feel free to email me back if you have any other questions.